This page shows basic system information, and is where the results of sanity checks etc are output. It is the default landing page when you view the Jomres administrator area and any warnings should be heeded. Underneath the main control panel area there is a second section which shows all properties in the system. 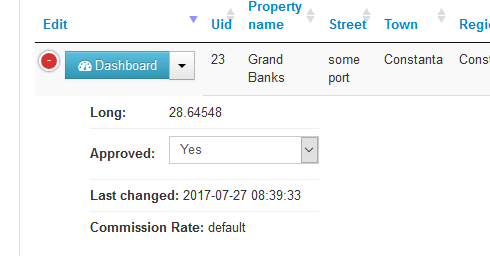 From here you can view property details and approve any properties that are awaiting approval.